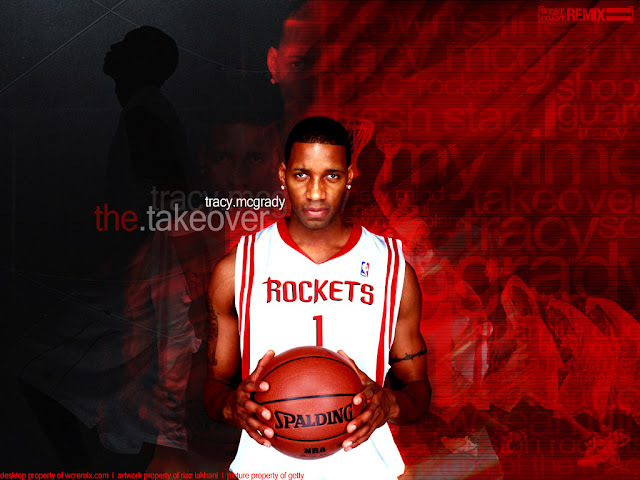 Heading into last year's first round playoff series, Tracy made his now famous comment: 「If we don't make it past the first round, it's on me.」 A more mature T-Mac is getting geared up for this year's playoff series with a different mindset. weren't doing what they have been doing this year because of the structure of the offense. I was running pick-and-rolls, creating shots for everybody. That's why I said it was on me, because I had to do so much. With their opponent not decided until after tonight's games, the Rockets are trying to gather some momentum for their first round series. Despite his struggles in the past, Tracy is optimistic and excited about getting another shot in the playoffs.
" It's on us this year "
Houston Rockets - Who said it's over?